This website is all about the world of words. They inform, amuse, dazzle and entertain us. They can disturb or titillate, or be as cozy and beloved as a childhood quilt. Words devastate and inspire. Words can even change our lives. Irrevocably, and for the better. I write … books, essays, memoirs, magazine articles, speeches, and I also help others with their writing. Please have a good look around my website – and don’t forget the photo gallery. Lots to read, and lots to look at. Thanks for stopping by. I am excited to offer The Minefields of Memoir, a brand-new memoir writing course, held at the spectacular Thinkers Lodge in Pugwash, Nova Scotia, on June 17, 2017! Check out my Upcoming Courses tab for more details. 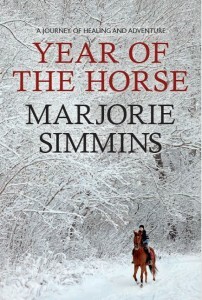 Dynamic and lyrical, Marjorie Simmins’ new non-fiction book, Year of the Horse is about her life with horses on the East and West Coasts of Canada. Published in 2016, by Pottersfield Press, Year of the Horse is a true story of grit, determination and luck. “This is a remarkable tale about a woman who falls hard from horses, but never ceases to fall for horses. The result is an illuminating chronicle of the horse-human bond.” Lawrence Scanlan, author of Wild About Horses. Available online, from Nimbus Publishing – www.nimbus.ca and Amazon – amazon.ca . Award-winning writer and journalist, Marjorie Simmins tells this story of love and resistance with humour and candour. 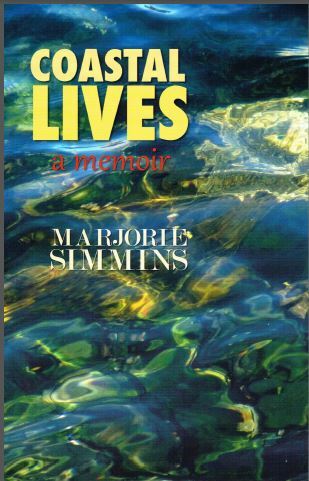 Published in 2014, also with Pottersfield Press, Coastal Lives was Marjorie Simmins’ first book.